Have Vape Mods hit their upper limits? 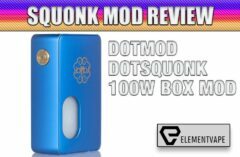 Based on how many new low-to mid-wattage Mods are still coming out each year, it would be easy to assume just that. But, while mid-wattage devices make up the majority of store shelves, some seriously powerful 250+ watt Vape Mods have hit the streets during that same span. And guess what? Most of them are really GOOD Vape Mods, with a lot more going on under the hood than power output. 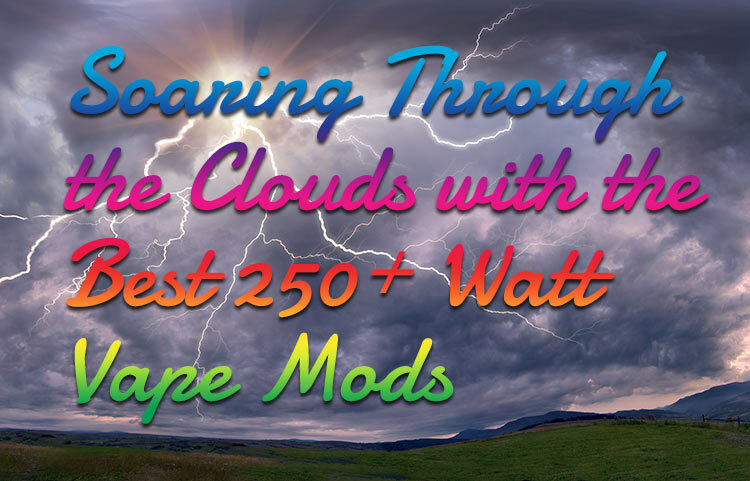 For a Vaper who wants one device to “do it all,” from low-wattage MTL vaping, to room-filling clouds, some of these 250+ watt Vape Mods represent a tremendous bang for the buck. Let’s take a closer look at some of the most powerful, most versatile, best all-around 250+ watt Vape Mods on the market (in no particular order), to see if one of them is right for your own collection. 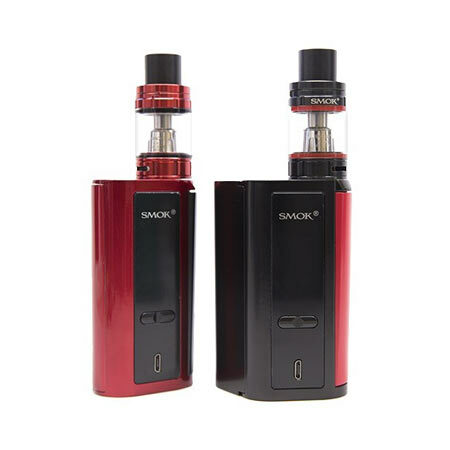 We use a lot of digital ink on SMOK devices, but with good reason – other than a few missteps here and there, SMOK devices are reliable, user-friendly, and appeal to a broad range of users. So, it’s no surprise that the prolific vape veterans lead off this list. The triple-18650 SMOK T-PRIV 3 is about as subtle as an aneurysm, but behind the large, bold, LED-enhanced design lies a proven chipset optimized to soar to a full 300 watts. And considering the amount of battery power and technology contained within, the T-PRIV 3 is surprisingly ergonomic and comfortable in the hand. And it’s not just a power factory – the T-PRIV 3 also contains a full temperature control suite, protection features and stealthy firing mechanism, so even 300 watts of power are handled comfortably and easily. Plus, the T-PRIV 3 maintains the polarizing-but-popular jagged alloy frame from previous T-PRIV devices, as well as the 0.96-inch top-mounted display, keeping vital information in clear vision while vaping, and letting the customizable light show take center stage throughout the Mod’s body. Our experience with the T-PRIV 3 has shown it to be another feather in SMOK’s cap, as it is a true 250+ watt vape Mod, with no stutters or errors to be found while climbing to that stratosphere. It’s been a while since we covered a high-powered Eleaf Mod, much less a new addition to the classic iStick line, but waves of nostalgia rushed over me when first using the all-new iStick Tria Mod. My very first sub-ohm capable vape Mod was an iStick 50 – a device that still gets some occasional use on the road. That said, we’ve never seen Eleaf reach for these wattages before, so imagine our surprise when the Tria turned out to be an affordable, reliable, outright powerful 250+ watt vape Mod. And a pretty attractive one, to boot. Instead of going with the usual hexagonal three-battery Mod shape, the Tria achieves 300 watts through triple 18650 cells, in a unique, curved diamond shape. It’s a touch bigger than similar devices, but I credit Eleaf for straying from the “me too” design of these types of vape Mods. Despite the size, the Tria is also comfortable, ergonomic, and easy to operate in either hand or style of grip. More importantly, it has balanced onboard charging, a battery bank feature, and also balanced battery utilization, so cells drain efficiently and evenly – a problem we’ve had with some 3- and 4-battery Mods. Finally, the Tria also contains the usual array of features, including temp control, protection measures, and the like. It’s an incredibly thorough offering from a company we didn’t expect to see in this category. Have you ever been vaping at 300 watts and said to yourself, “This just isn’t enough power? If only I had 24 additional watts…” If so, rejoice – the iJOY Captain X3 324-watt Mod is here. We reviewed this surprisingly compact beast a while back and loved almost everything about how powerful and efficient this triple 20700 Mod turned out to be. The iJOY Captain X3 continues to deliver one of the smoothest, most-powerful vapes I’ve had to date. Obviously, a triple-20700 setup is going to have some ample “oomph,” but I wasn’t expecting the Captain X3 to be as effortless as this. First off, the 324-watt claim is legitimate. I was able to easily hit the maximum wattage without so much as a hiccup coming from this vape device, without ever getting warnings or misfires (even when the Mod got a little warmer than expected). Plus, the Captain X3’s power is matched by grace, as I was pleasantly surprised to see how easy and user-friendly the updated chipset makes temp control for new users. Temp control doesn’t get much easier than this, which is notable on a Mod clearly designed for high wattage vaping. Though it’s also usable with three 18650 batteries, the combination of power and battery efficiency makes the X3 the first larger-battery Mod to justify the new format. Highly recommended. workhorse device deploying the ability to change between two or four batteries. We told you SMOK was prolific. A year ago, the company decided to dabble in the fledgling FOUR-battery vape Mod market, but didn’t want to alienate its core customer base, which was still reveling in its dual-18650 Alien appreciation. As such, the SMOK GX2/4 Box Mod was born. Depending on which configuration you choose, this user-focused device is either the largest 250+ watt vape Mod in your collection (going to 350 watts!) 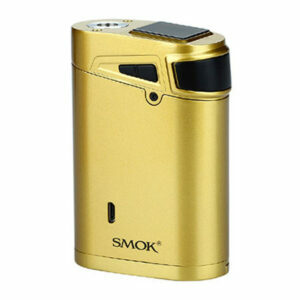 or one of the most slender and streamlined 220-watt Mods around. But none of this matters if the GX2/4 doesn’t do what it promises. …And it does, in a very big way. Though SMOK has released a lot of vape Mods in the last 12 months, the GX2/4 offers a lot of forward thinking features. It uses a still-versatile chipset, and has a full temperature control suite, Intelligent Atomizer Recognition and thorough safety protection features. While the latest and greatest Mods have surpassed this lineup of options, SMOK was the first to offer this many customizations on a 250+ watt vape Mod. Our reviewers also enjoyed how effortless the power performance was and was surprised by the delicacy and accuracy of the temperature control and preheat settings, as well. Today? They’re still using their GX2/4s quite often, still switching between the slender pocketability of the dual-18650 configuration, and the sheer power offered by the four-battery option. When JayBo wants power, JayBo gets power. 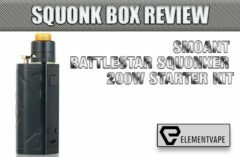 We couldn’t do a list of 250+ watt Vape Mods without including one of the quad-battery pioneers – the Wismec Reuleaux RX300 Box Mod. We’ve already got a Reuleaux on the list – arguably the best one available, to be honest. But back in January 2017, there were few mass-market Vape Mods available that were as powerful as the RX300. Power isn’t everything, though. In order to make this list, the Mods have to be good and relevant for now, and the future. 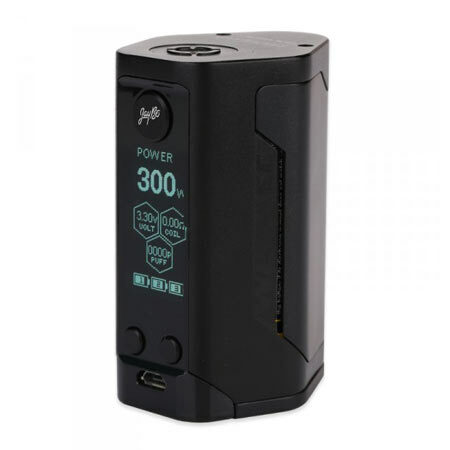 And we’re happy to report the RX300, while large and somewhat unwieldy – remains a leader in the pure vaping power sweepstakes. This hefty contender brings users the afore-mentioned power, alongside a comprehensive temp control and TCR suite, surprisingly comfortable contours and grip, some high-end design accents, and even the ability to function as a power bank for phones and tablets (with optional power adapter). Plus, it introduced a new display format that Wismec has evolved into one of the most useful OLED screen formats around. Make no mistake, this is not a beginner’s Mod. (Not that any 250+ watt Vape Mods should be.) But for those who are experienced with advanced vaping and safety, this quad-18650 beast still represents a fantastic investment for power-hungry vapers. 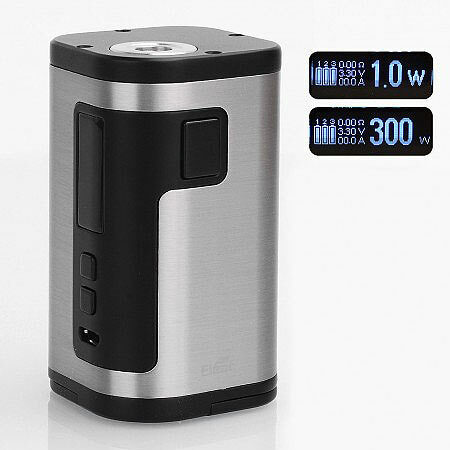 Making this list’s cutoff by a mere 7 watts, the Sigelei GW (Great Wall) 257W Mod is an attention-getter for a lot of reasons. By unifying the industrial design elements from the fantastic Sigelei MT with a classy, understated nod to its iconic namesake, the GW is unique, stylish and decidedly different. Plus, with a gorgeously machined aluminum alloy frame, and mature color options, there’s a lot to like – both for beauty and durability. But being different isn’t enough anymore. 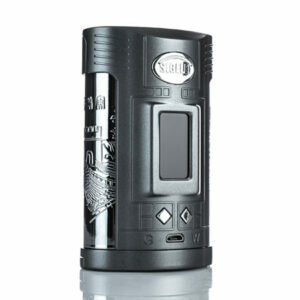 For a vape Mod to stand out on shelves AND fly off them, it has to offer power, features and something truly innovative. And the GW does just that, with the option to use dual 21700, dual 20700 or dual-18650 batteries, depending on preference. Of course, to hit that elusive 257 watts on just two cells, you’ll need to use the larger battery options. But there’s no debating the power and features offered beneath the classic Chinese design. With versatile temperature control (and presets for three different stainless-steel varieties), TCR, preheat, and a proven display format, the GW is a potent, standout contender for vapers who want to hit high elevations without sacrificing size, portability or style. You know a Mod is impressive when it makes a 2018 “best of” list, even though it was released in the Fall of 2016. But when triple-18650 Mods were just hitting the mainstream, iJOY upped the ante by offering one of the first quad-battery vape Mods on the market – the Maxo 315-watt Mod. And even though its design is a little bulky by current standards, and the operations aren’t up to snuff these days, the bottom line is that the Maxo still offers one of the most consistently powerful vapes around. IJOY themselves describe the Maxo as a “workhorse” and those words still ring true in 2018. On four 18650 batteries, the Maxo can either give you maximum power for longer periods than you might imagine, or give you maximum longevity, even at triple-digit wattages. Our reviewer saw nearly TWO DAYS of 100+ watt performance on one charge – numbers most users will never see anywhere else. Plus, the Maxo also represents some of iJOY’s best features – the reliable, legible display, and the fantastic oversized fire key – both of which remain top-flight today. Is the iJOY Maxo for beginners? Not quite. There’s a wealth of protection measures built in, and the solid temp control performance offer some customization. But the antiquated menus and dated chipset make things a little dodgy for newcomers. However, for advanced vapers who want to pack a true powerhouse in their kit, with the versatility to operate on either two or four cells if you need to preserve battery life, there are few devices on the market that can do it. Even in 2018. 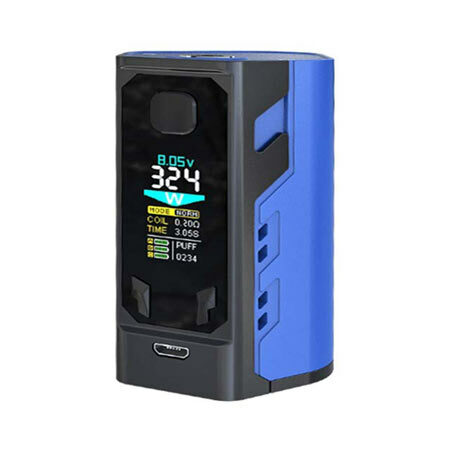 SMOK completes the 250+ watt vape Mod trifecta with the surprisingly svelte Marshal G320, which offers both versatility and pure power in a triple-battery device that doesn’t break your wrists when carrying it. Don’t get me wrong – the Marshal G320 isn’t small. This is a LARGE vape Mod, with some serious heft to boot. But like its other max-wattage devices, SMOK made a commanding Mod for demanding vapers, that is designed to be used often, not as a conversation piece. By crafting the alloy chassis with smooth, ergonomic curves, and equipping it with a fantastic fire button, SMOK has made one of the few 250+ watt vape Mods that qualifies as palm- and pocket-friendly. And it’s even sleeker under the hood. Featuring a bright OLED display, well-placed operation buttons, a user-friendly operating system, full temperature control and preheat options, intelligent atomizer recognition, and a boatload of other features, the Marshal does a lot more than spew clouds mindlessly into the atmosphere. But when power is the name of your game, the Marshal can hold its own with any of the other contenders on this list. I have to admit, I saved my favorite 250+ watt vape Mod for last. And ironically, it’s actually offers the LEAST potential power of the bunch. But the Modefined Prism is my choice for the best high-wattage Mod on the market, even if that power “only” reaches 250 watts. This is because the Prism is, quite simply, one of the most comfortable, high-performing, fast-ramping Vape Mods available. Modefined is quickly becoming a premier vape device manufacturer, and the Prism is a shining example of how to take a proven design and improve on it in every way. 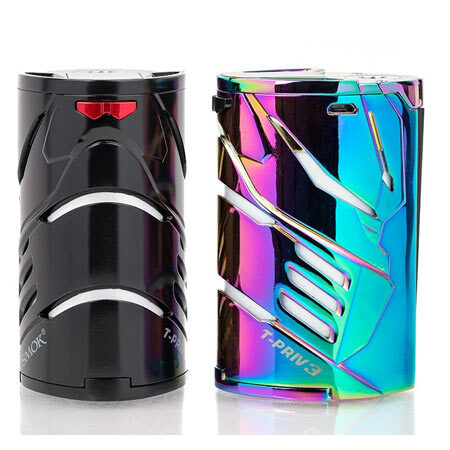 Using the now-standard “curved hexagon,” triple-18650 format, the Prism is altogether more comfortable, more functional and more enjoyable than any of the Mods that inspired it. And the fantastic textured grip is nearly as impressive as the carbon fiber inlays that adorn the front of my beloved test Model. With a three-button operating system and bright OLED display, the Prism is also precise and intricate where needed. And the full temperature control, preheat and customization settings make that possible, through an interface that makes newcomers experts in record time. But in terms of power, few devices – regardless of max wattage capabilities – ramp this smoothly, this quickly, with nary a hiccup to be found along the way. At its 250-watt maximum, the Prism offers smooth, measured draws, and surprisingly decent battery longevity. At low to mid-range wattages, the Prism is a true all-day vape Mod, with equally flawless performance throughout. Cool, comfortable, powerful and shockingly mature, the Prism is one of the true high-end Vape Mods, with performance that can appeal to any type of vaper looking for one Mod to do it all. 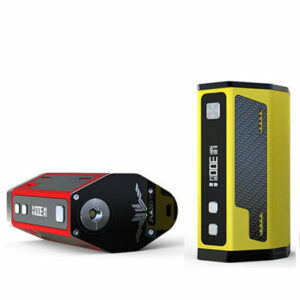 Like any good “best of” list, there’s bound to be a lot of debate about our choices for the best 250+ watt Vape Mods. And we welcome the debate, because there’s a good chance we forgot about a few really worthy devices. But in the end, when having this discussion amongst ourselves, these 10 Vape Mods came up the most often. More importantly, these are the 10 that our staff USES the most when looking for ultra-high-wattage vaping, or when testing out high-wattage ultra-low resistance coils. Every Mod on this list remains in our regular rotations. And there’s a good chance many of these same 250+ watt vape Mods will find their way to our 2019 roundup, as well. Let us know what you’re thinking in the comments, and our social media pages – we’d love to hear your thoughts.